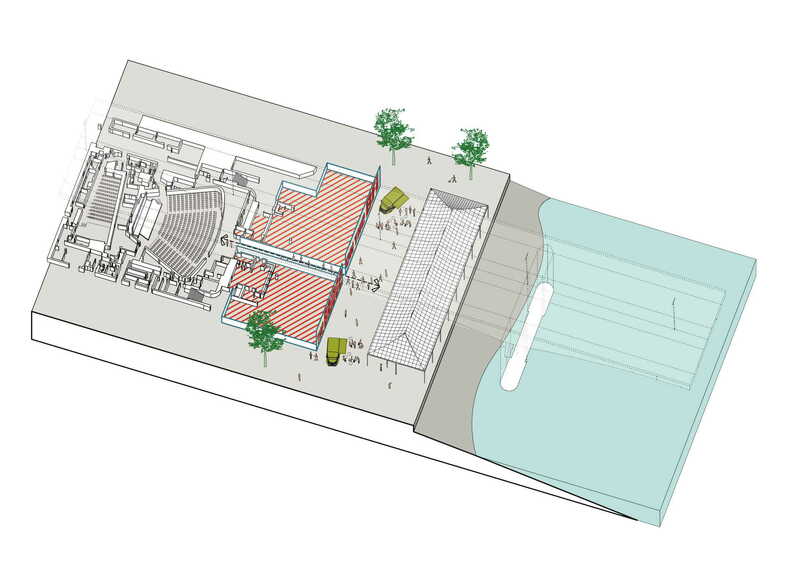 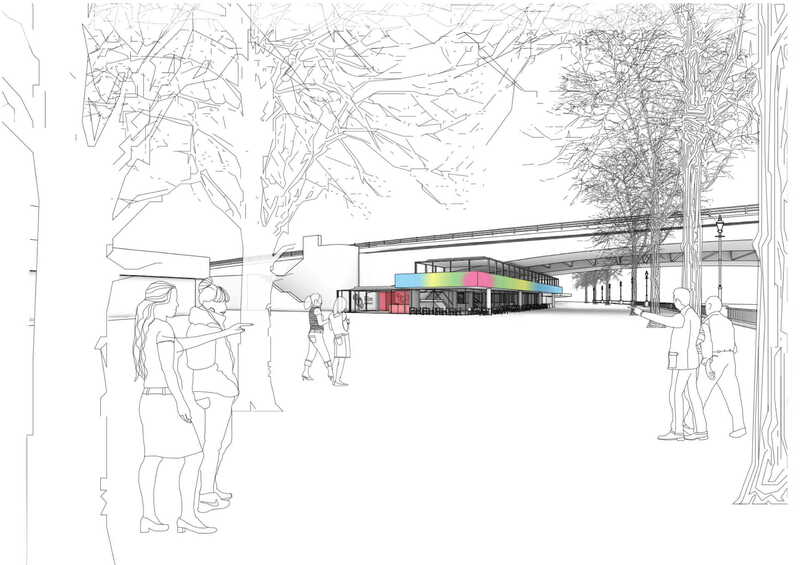 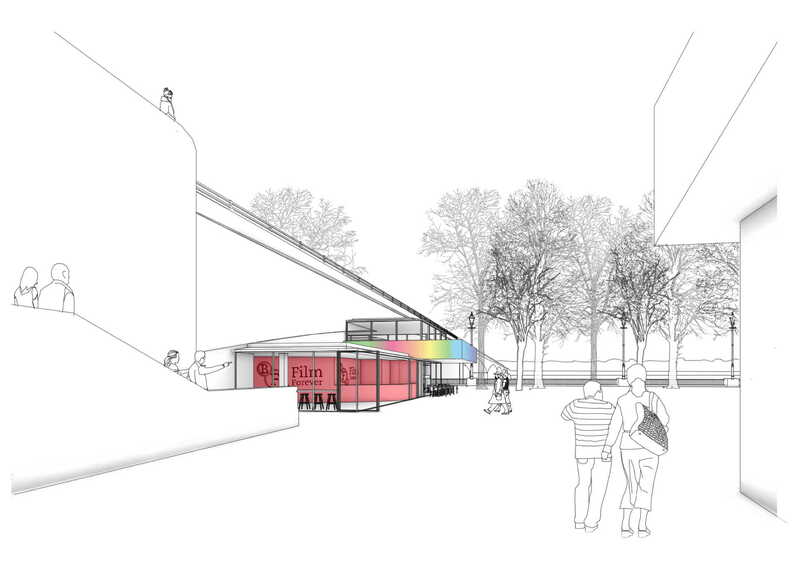 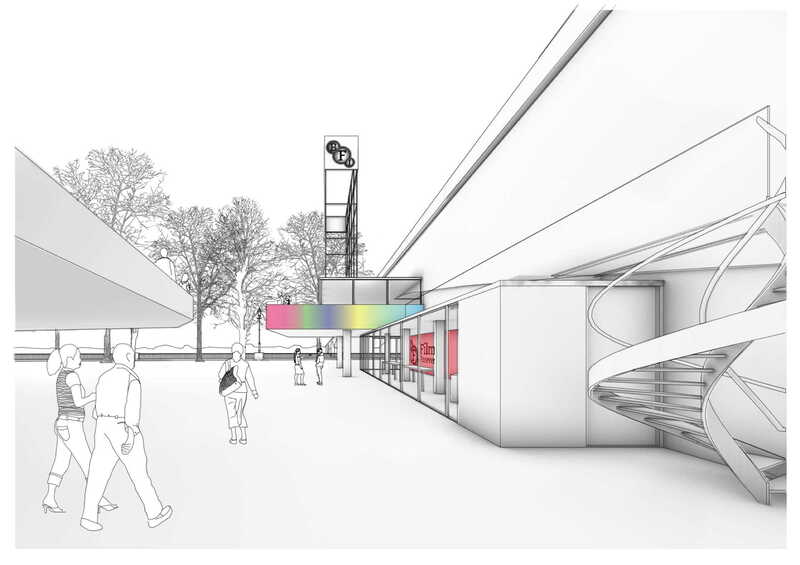 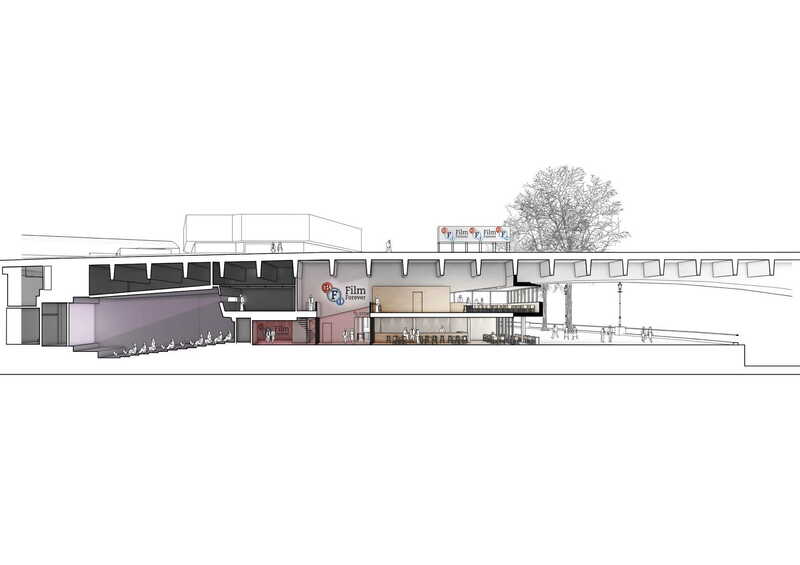 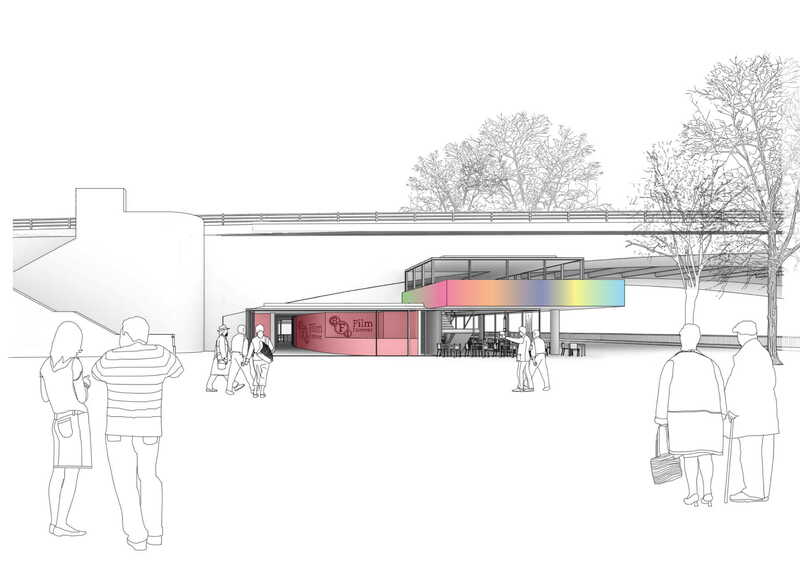 We were selected for a competition to design a New Entrance and Café for the British Film Institue on London's Southbank. 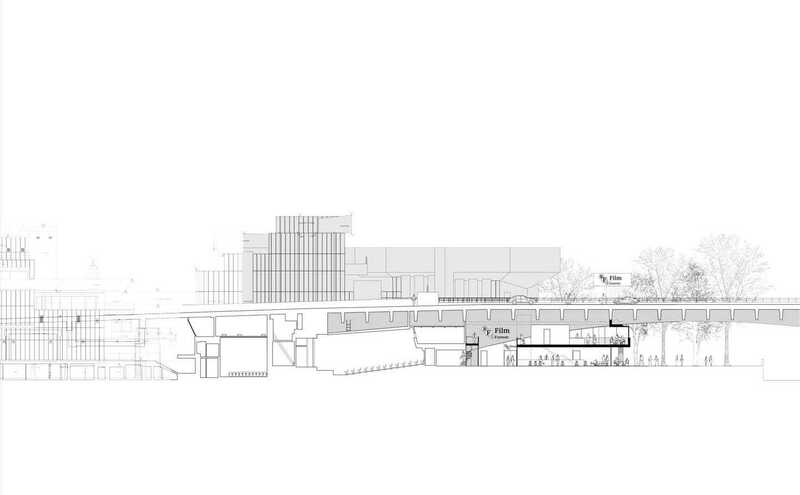 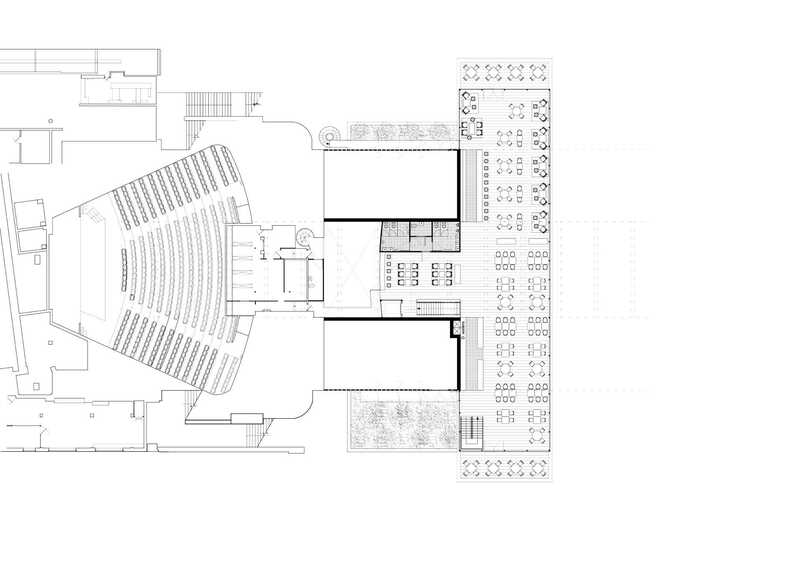 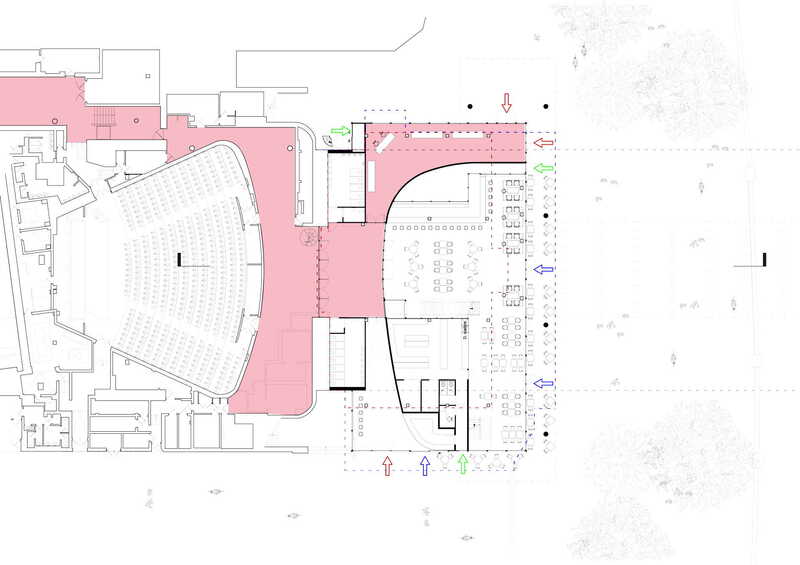 Our proposal was to create new entrances to the BFI on either side of the restaurant at ground floor level, with extended bar and restaurant facilities on a new level above. 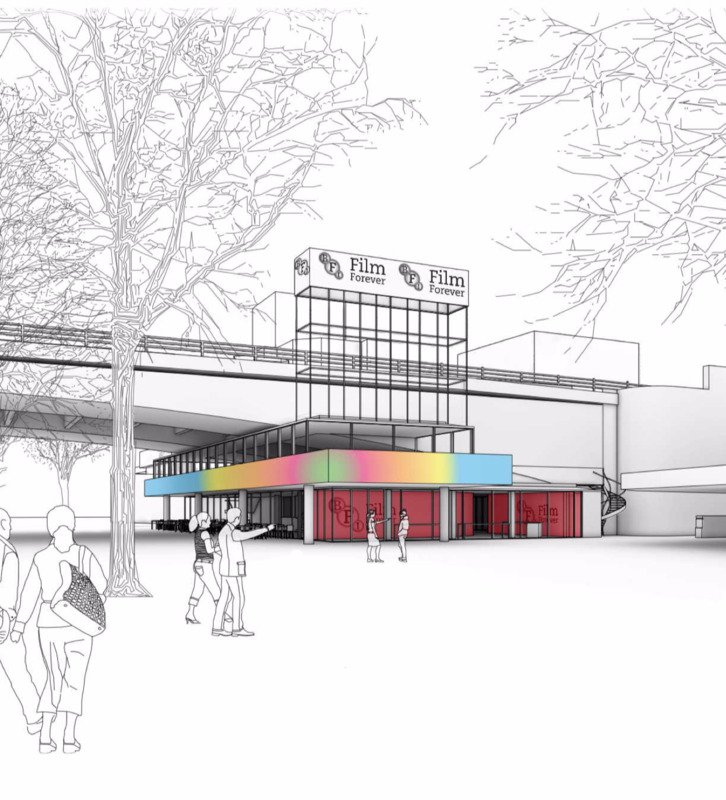 Externally this new level takes the form of a large horizontal volume which makes a formal relation to the Waterloo bridge above and supports a digital display of the BFI’s programme of events. 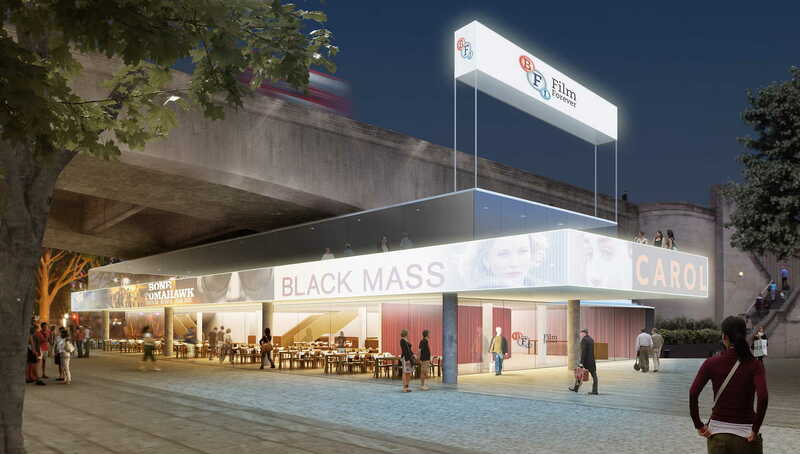 During the BFI’s annual film festivals the restaurant would be closed, allowing VIP’s to enter ceremoniously on a red carpet while passing a press area. 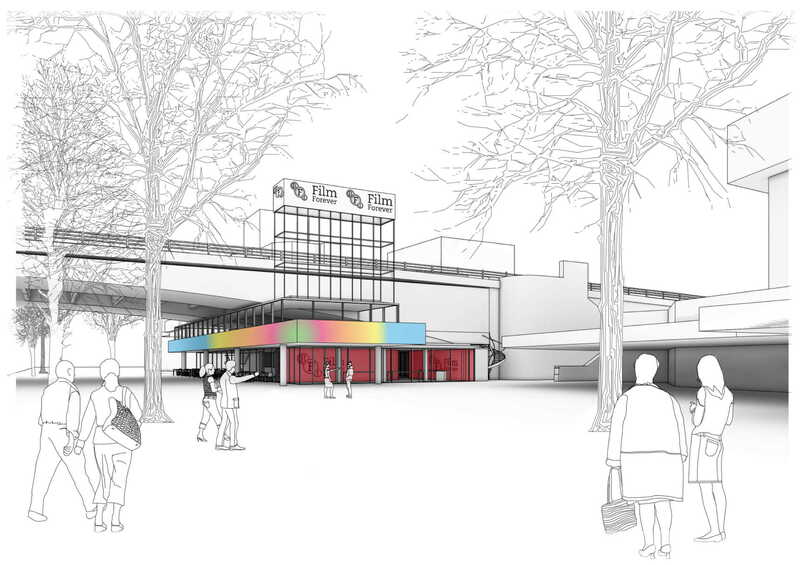 At other times the building would be a pleasant place to dine or have drinks by the Southbank while also forming a dignified entrance and memorable image of a cultural institution.